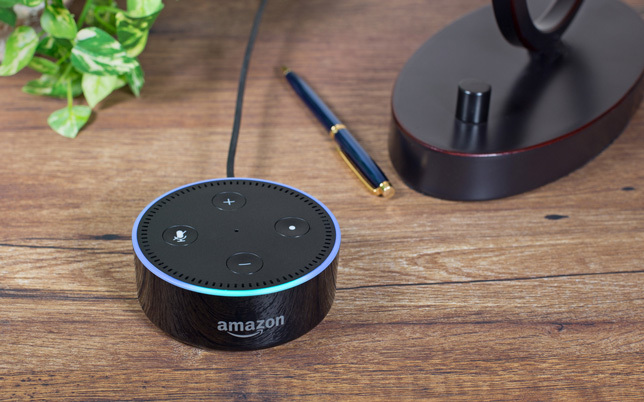 If you have an Alexa device such as the Amazon Echo, you can now receive the latest ed tech news as part of Alexa's Flash Briefing. The Flash Briefing is a collection of audio content — typically news, weather, traffic conditions, etc. — that is customizable by user. It's designed to be a part of a user's daily routine "as they get ready for work or school, or wind down after their day," according to Amazon documentation. To set up the audio feed, use the Alexa mobile app to search for "Campus Technology News" in the Alexa Skills catalog. Once you enable the skill, you can ask Alexa "What's in the news?" or "What's my Flash Briefing?" and she will read off the latest news briefs from Campus Technology. Flash Briefings are also available for CT's sister publications, THE Journal (search for the THE Journal News skill) and STEAM Universe (search for STEAM Universe News).